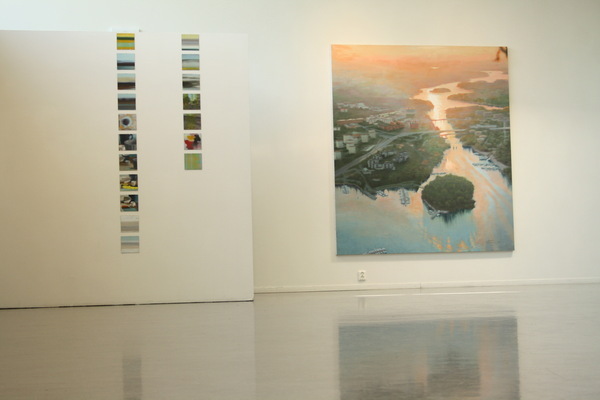 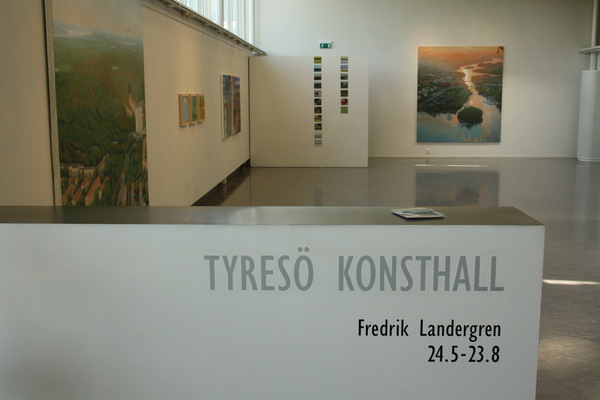 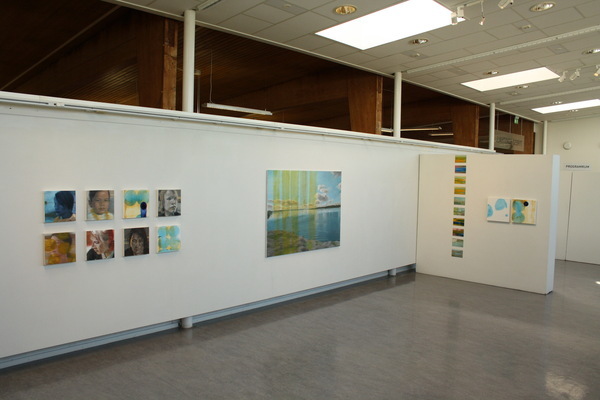 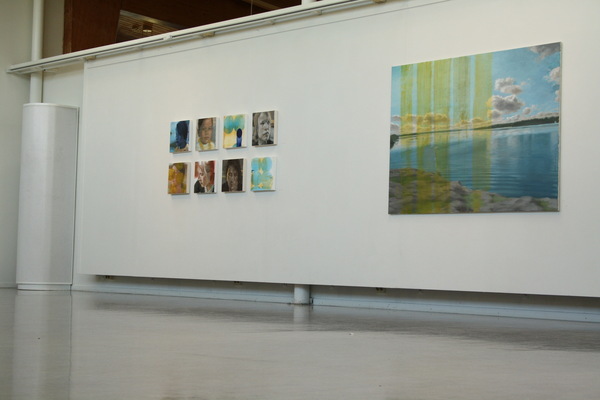 Gallery view from the left entrance of Tyresö art gallery. 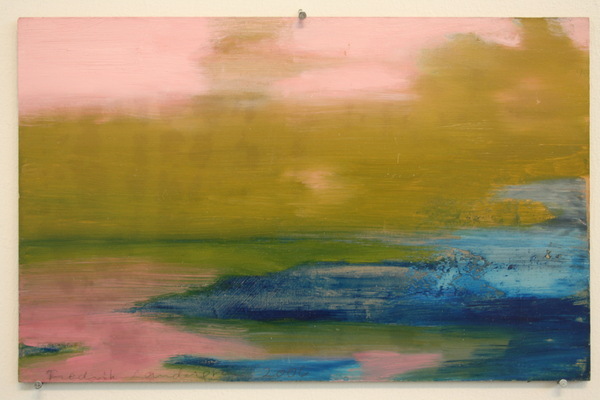 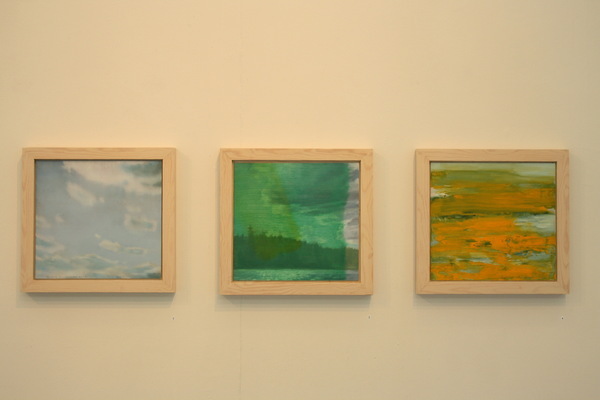 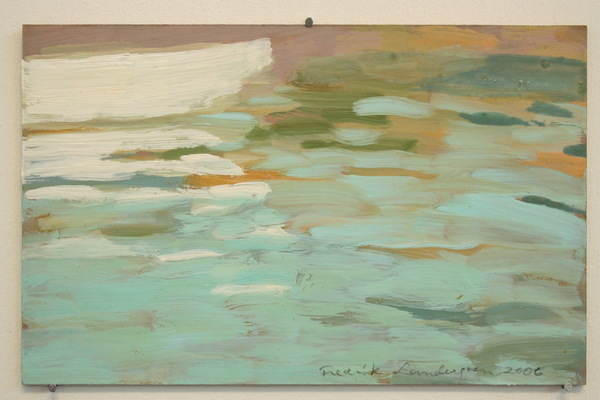 'Clouds', 'Emerald green clouds' 'Towards the ocean' - - each 32 x 30 cm, oil on panel. 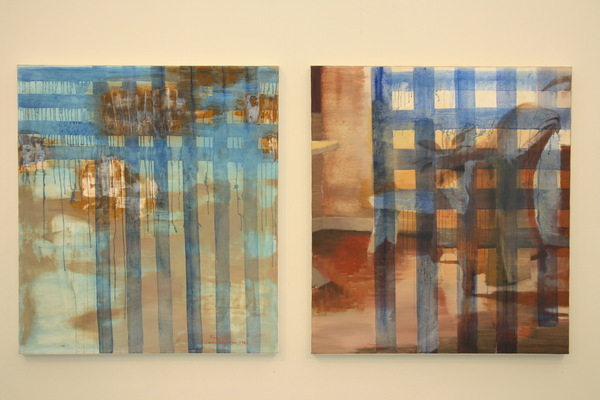 'The memory of blue stripes' 'The wicker chair with blue stripes'. 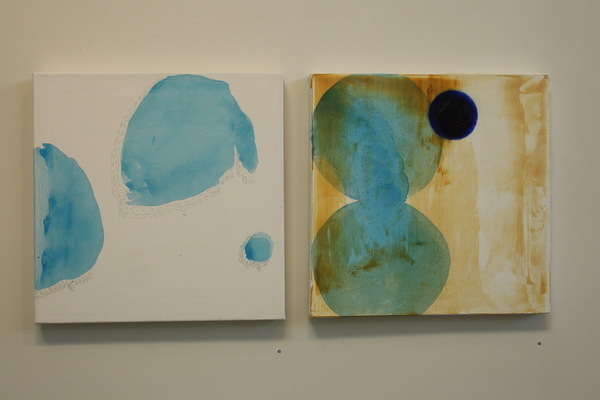 - - both 90 x 100 cm, oil on canvas. 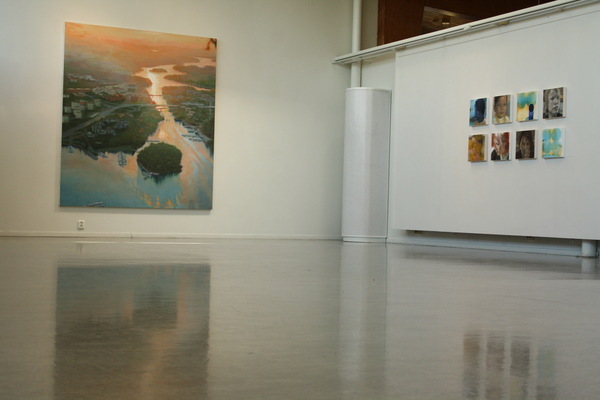 Left view in the gallery. 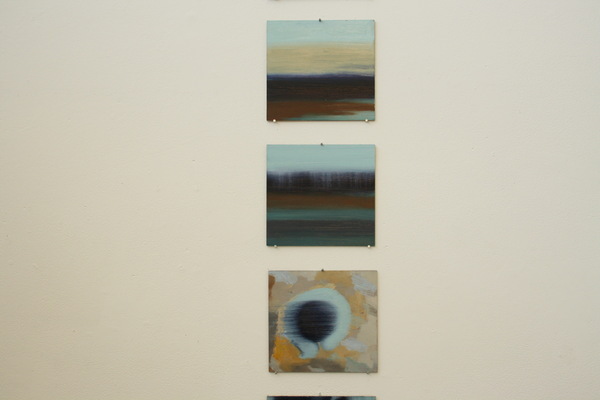 A family of small paintings from the artists painting practika. 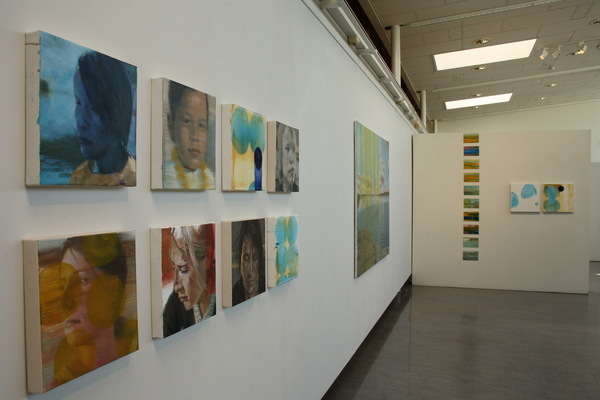 A closer wiew of these paintings. 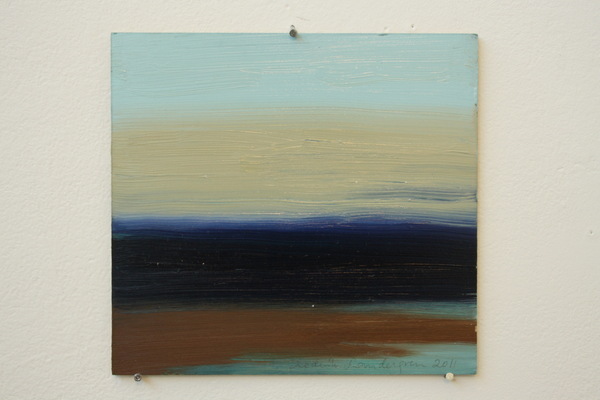 'Striped landscape I' - - 14 x 16 cm, oil on panel. 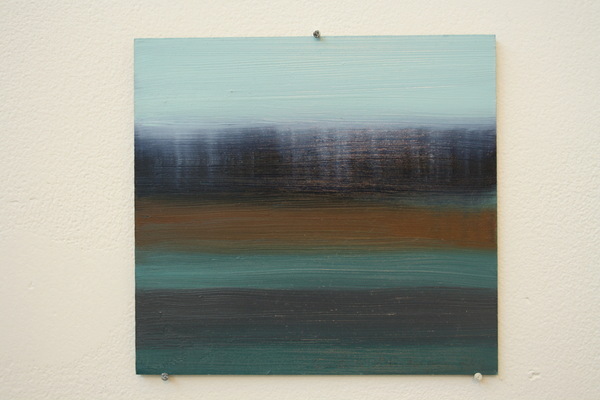 'Striped landscape II' - - 14 x 16 cm, oil on panel. 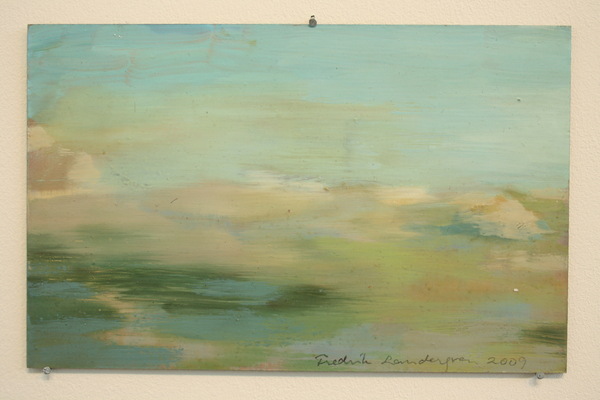 'Dot with some speed' - - 14 x 16 cm, oil on panel. 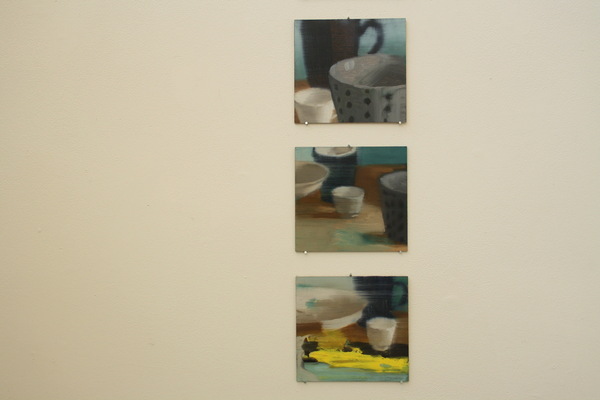 A closer view on small still life family paintings. 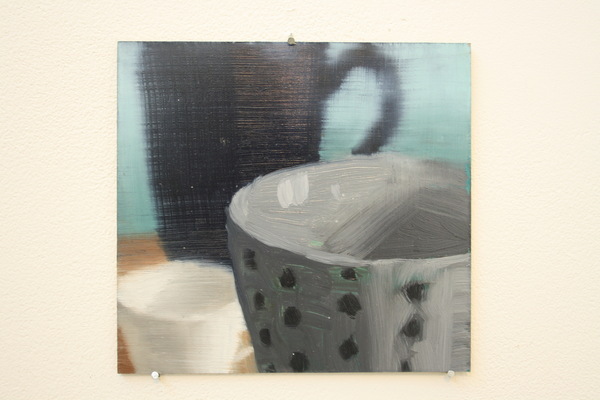 'Still life cups I' - - 14 x 16 cm, oil on panel. 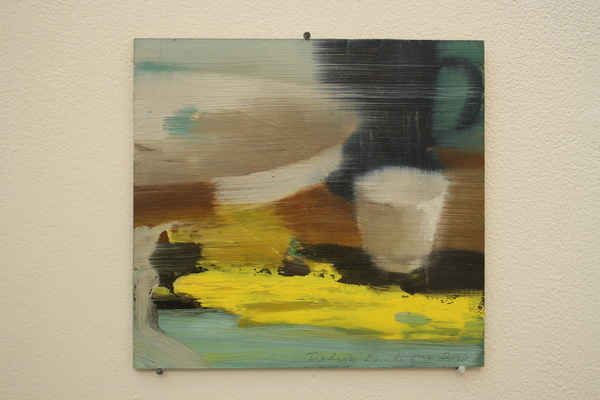 'Still life cups II' - - 14 x 16 cm, oil on panel. 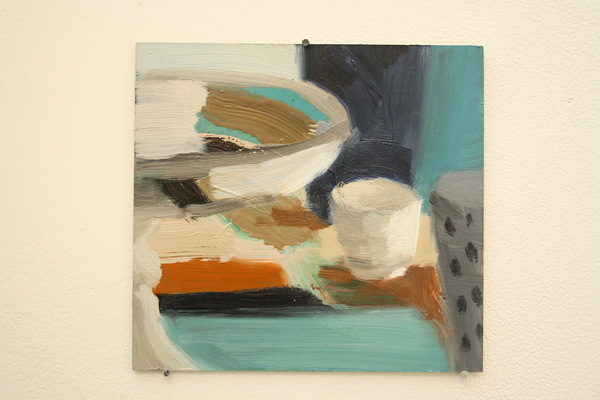 'Still life cups III' - - 14 x 16 cm, oil on panel. 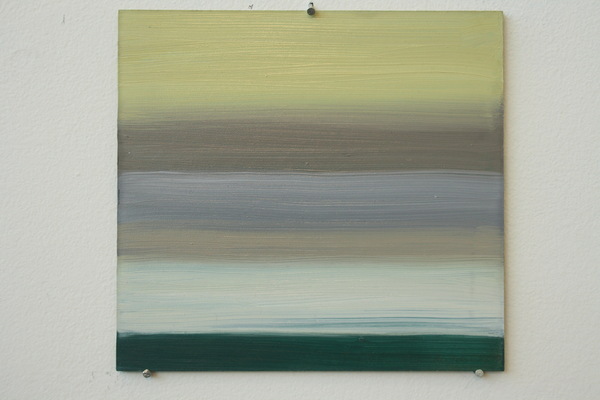 'Striped landscape III'- - 14 x 16 cm, oil on panel. 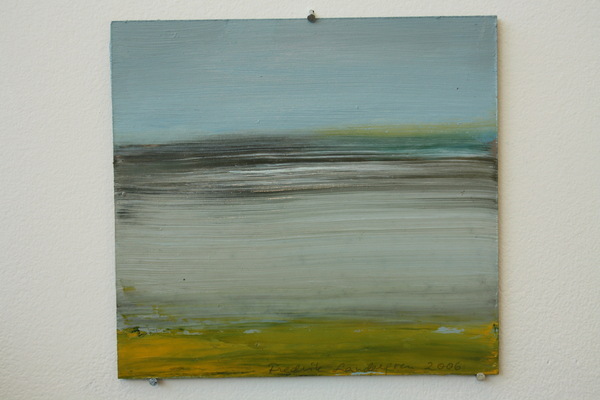 'White striped landscape' - - 14 x 16 cm, oil on panel. 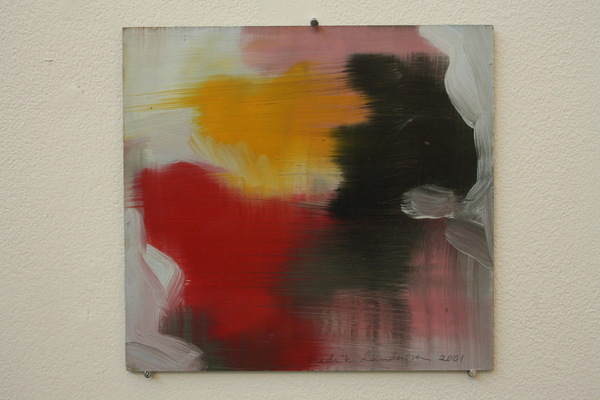 'Abstract red, yellow and black' - - 14 x 16 cm, oil on panel. 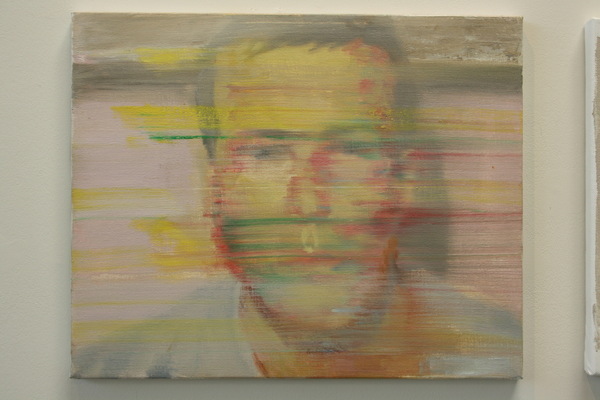 'Young man with yellow stripes' - - 36 x 45 cm, oil on canvas. 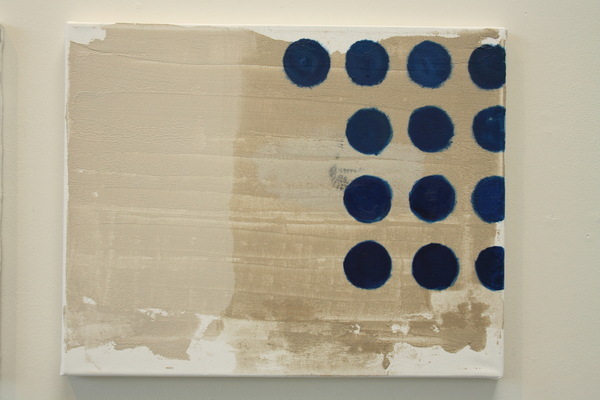 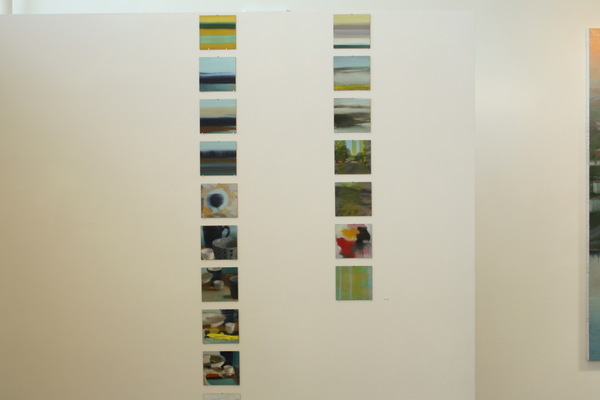 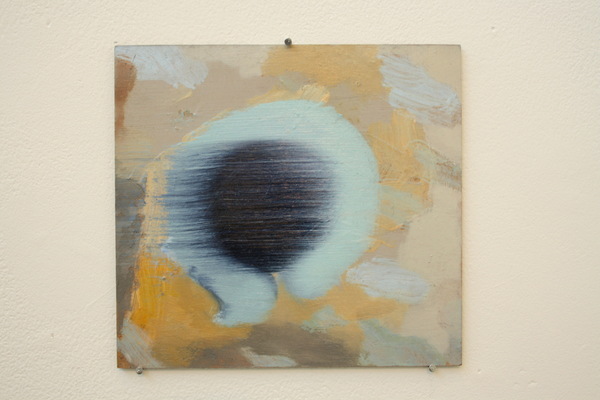 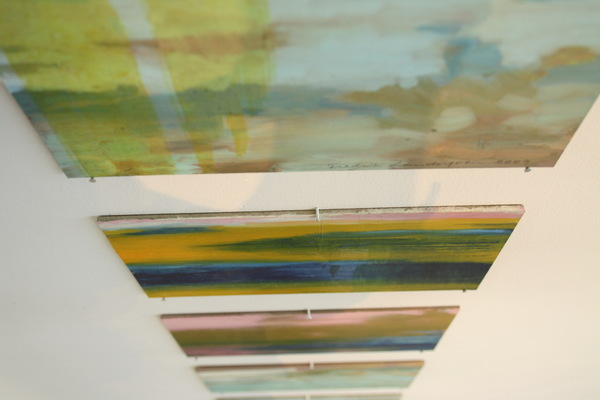 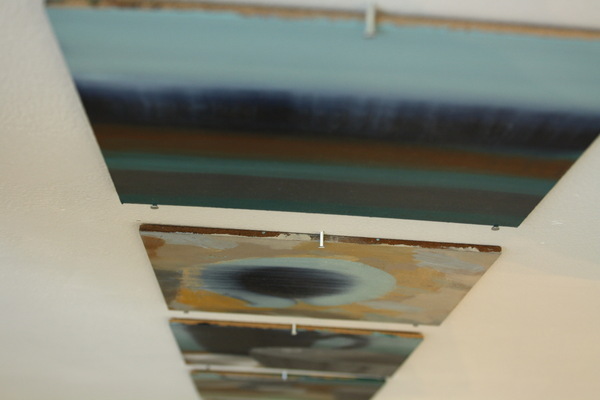 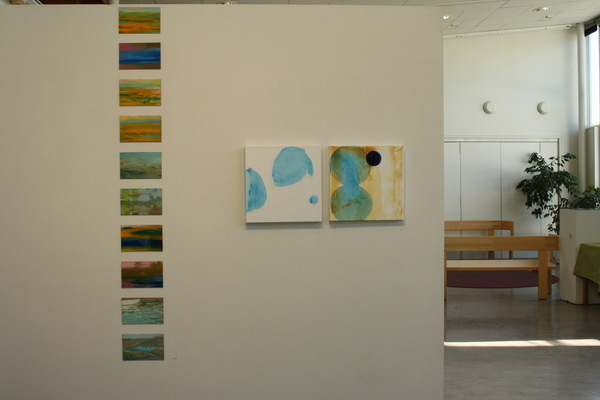 For the exhibition we hang close a group of eight 30x30 cm smal paintings. 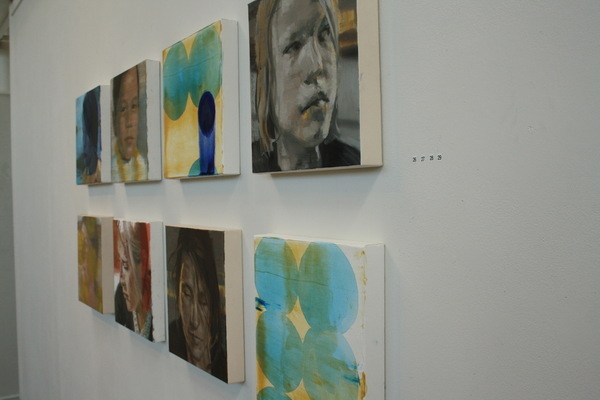 Realistically painted faces together with abstract dots. 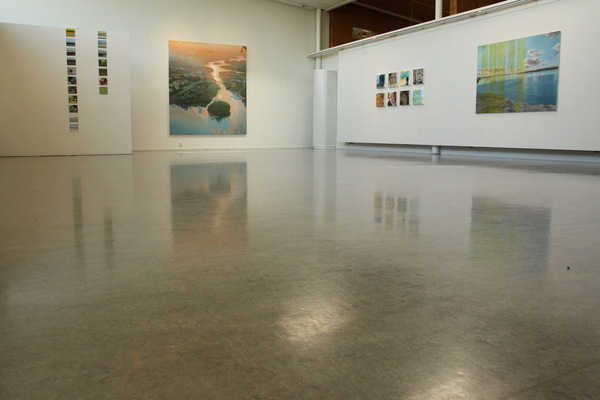 Gallery view left towards the entrance. 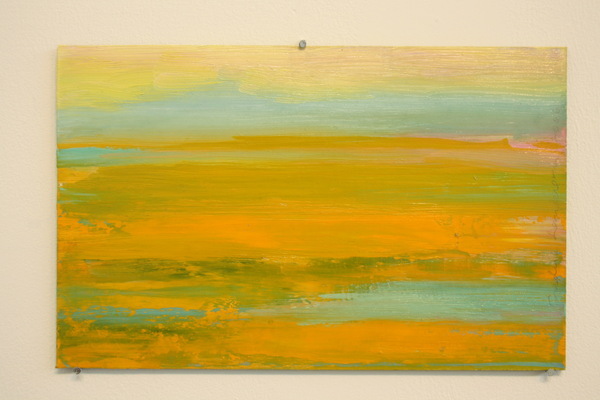 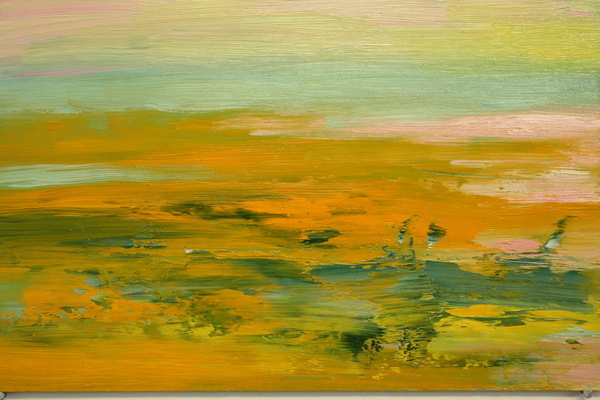 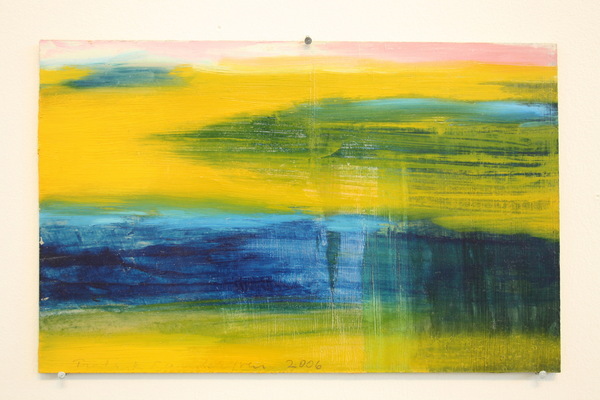 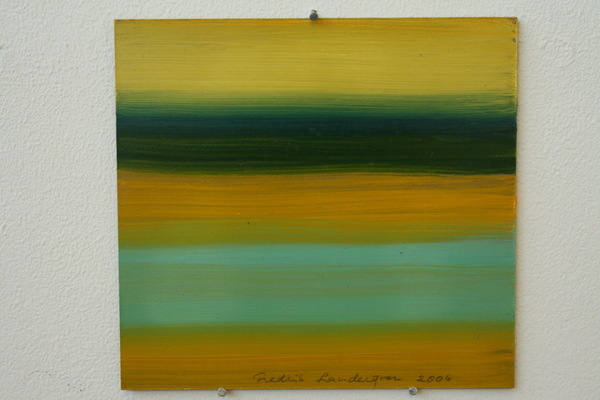 'Yellow striped landscape' - - 14 x 16 cm, oil on panel. 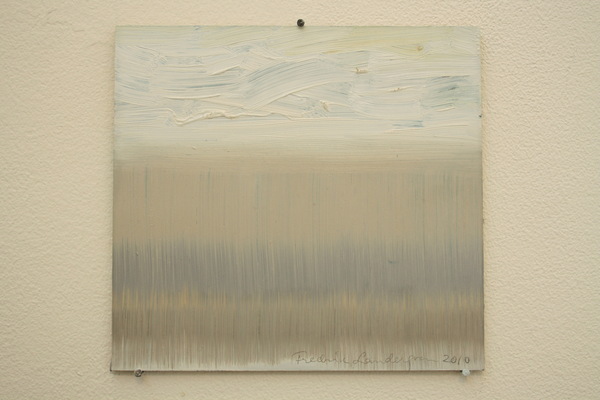 'Light yellow and white striped landscape' - - 14 x 16 cm, oil on panel. 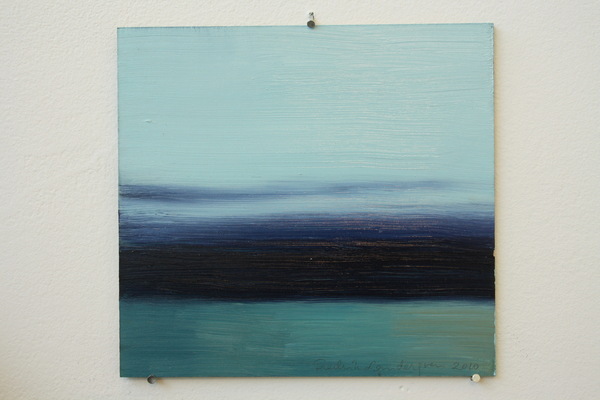 'Archipelago landscape' - - 14 x 16 cm, oil on panel.